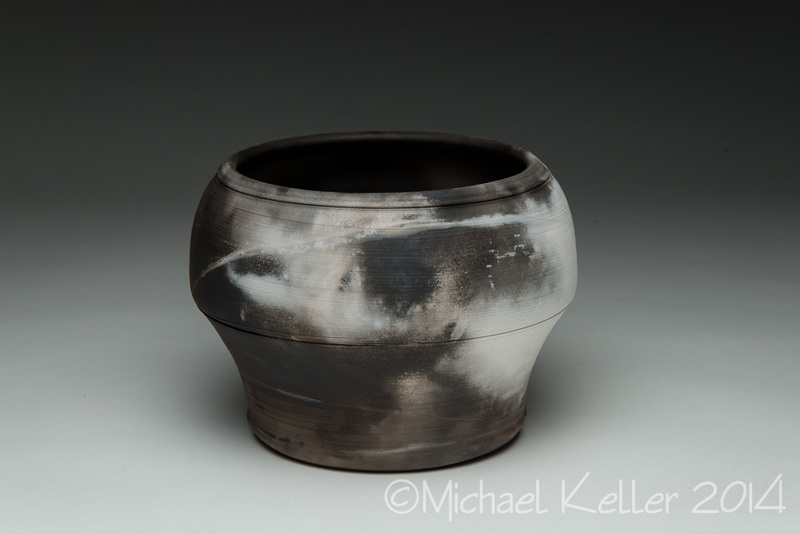 I needed to photograph some pottery, and I really didn’t want to leave the house, so I set up a dining room studio. 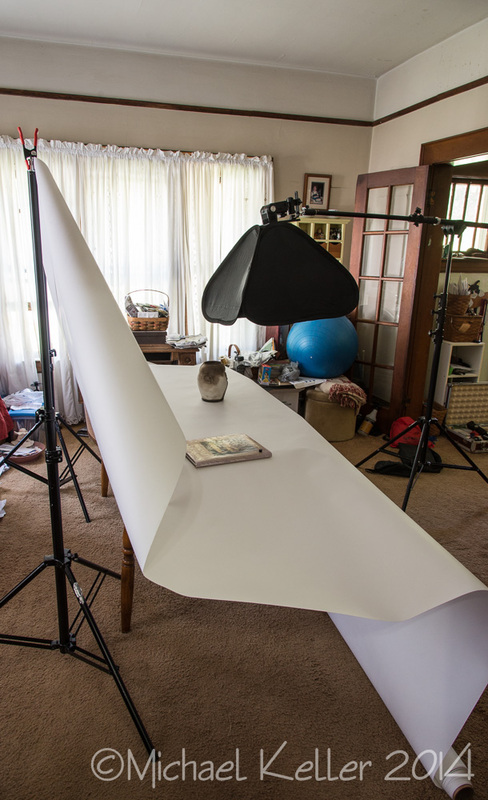 I had a 9 foot wide roll of white seamless, and rather than cut it, I just cleared off the table, laid the roll on it, pulled up the cut end to a couple of light stands and held it in place with a couple of spring clamps from Sears. Side view showing the background attached to a couple of light stands. Yes, we have lots of stuff in our house! Since I only needed a wide enough space to accommodate, at most, three pieces of pottery, I could let the sides of the background flop down. With the rest of the roll on the floor, I had a shooting space that would work for me. I used an old Vivitar 283 flash (that I bought off eBay), triggered by a Cactus V5 radio slave, fired into a Cowboy Studio 24″ softbox that (I think) I bought off Amazon. Vivitar 283 flash with Cactus radio receiver. 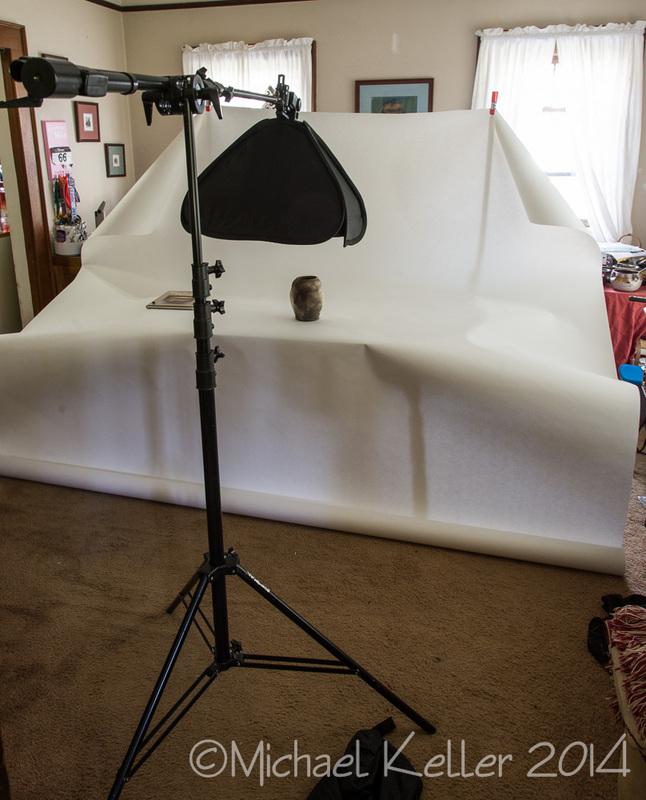 The Cowboy Studio softbox includes the bracket and the ball head that attaches to the boom. 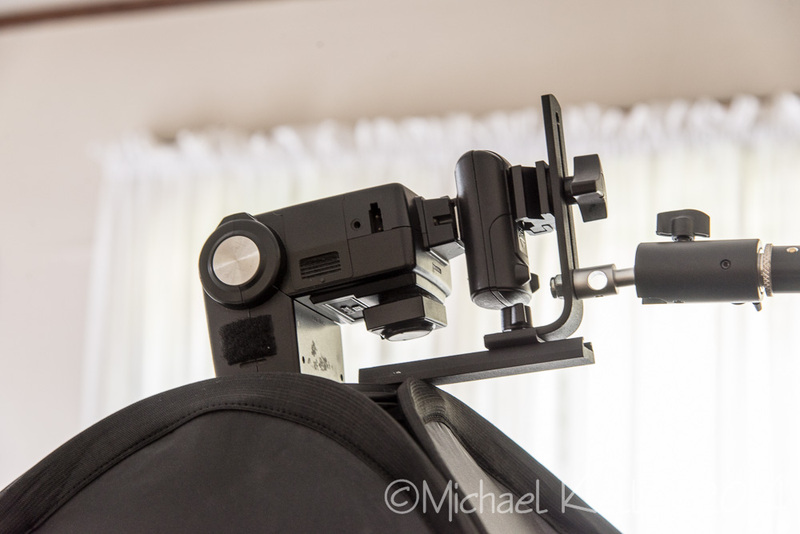 The bracket allows you to slide the flash in or out and up or down to accommodate various size flashes. At an ISO of 200 and with the flash dialed way down, I was still shooting at f/11-f/13. 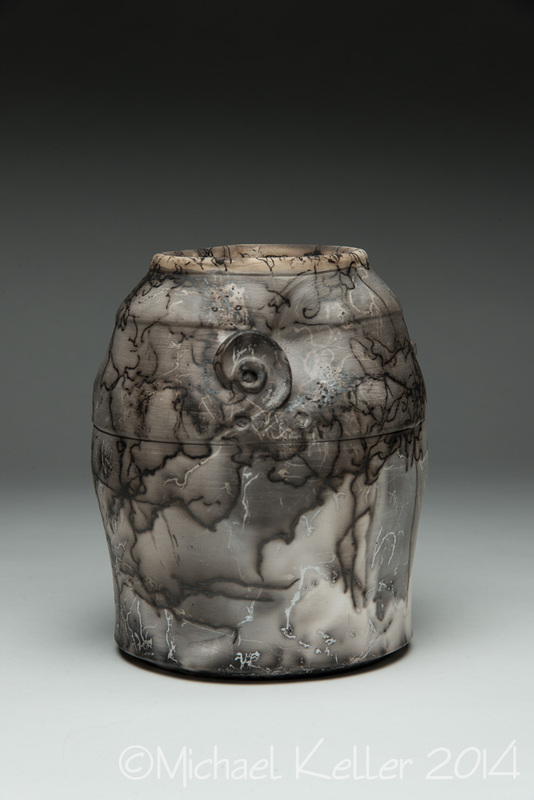 Pot smoke-fired with horsehair on the surface. The results were just fine.